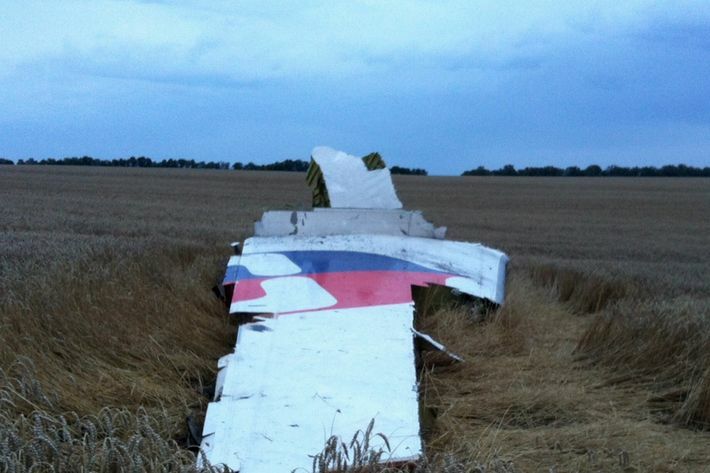 Malaysia Airlines Flight 17 from Amsterdam to Kuala Lumpur crashed near the Russian border in Ukraine today, with an adviser to Ukraine’s Interior Minister claiming it was shot down by a ground-to-air missile, the Associated Press reports. 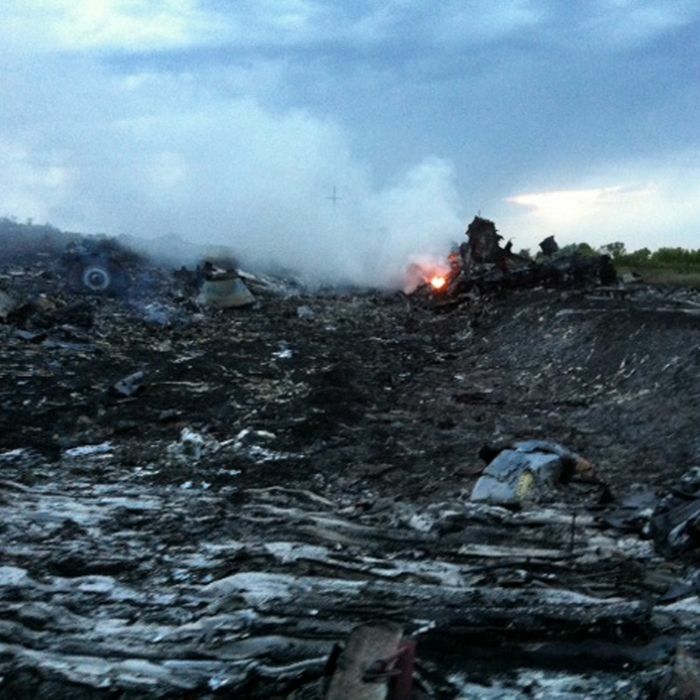 The Boeing 777 was carrying 280 passengers and 15 crew members. 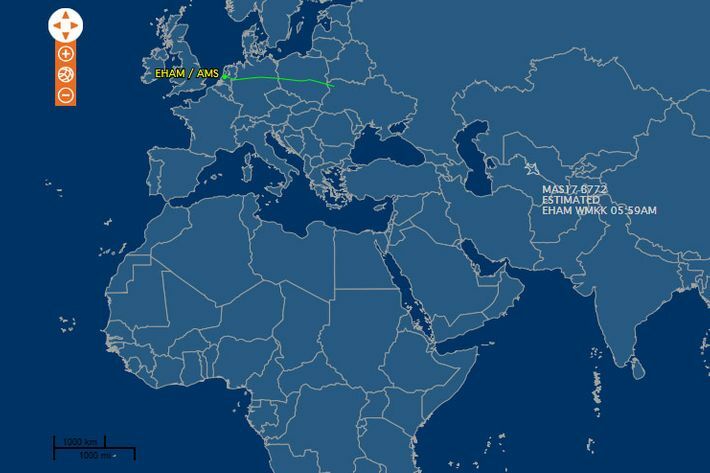 “Malaysia Airlines has lost contact of MH17 from Amsterdam. The last known position was over Ukrainian airspace. 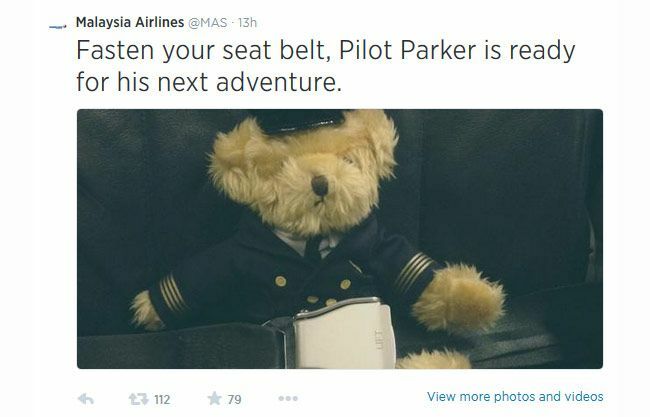 More details to follow,” the airline said on Twitter. The passenger jet “came down near the city of Donetsk, stronghold of pro-Russian rebels,” in Torez, Reuters reports, about 25 miles from the Russian border. While pro-Russia rebels are reportedly blaming the Ukrainian military, Ukraine’s president tried to rule out his side, claiming, “Armed Forces of Ukraine did not take action against any airborne targets.” President Obama has spoken with Russian President Vladimir Putin in a call organized to discuss new U.S. sanctions, but the White House has not confirmed reports the plane was shot down. Update, 4:30 p.m.: “U.S. intelligence confirms surface-to-air missile fired at Malaysian jet but is divided over origin,” The Wall Street Journal reports. Through his VK.com account, Russia’s version of Facebook, the self-proclaimed defense minister of the Donetsk People’s Republic, Igor Girkin — who goes by the nom de guerre Igor Strelkov — boasted about shooting down a plane. “We did warn you — do not fly in our sky,” he wrote. Ukraine’s minister of defense claimed earlier this week that a military transport plane, shot down at an altitude beyond the reach of an anti-aircraft missile, was like “downed by another, more powerful missile that probably was launched from the territory of the Russian Federation.” At least ten other planes, most flying lower than a passenger jet, have been shot down by rebels over the course of the conflict. CNN's Barbara Starr reports Pentagon believes Russian side fired missile that took out separate Ukrainian cargo plane on Monday. Malaysia AIrlines official says 154 Dutch nationals died in MH17 crash, also 27 Australians, 23 Malaysians and other nationalities.